Remember that guy at the gym that I heard say he ate his roommates and no one batted an eye? 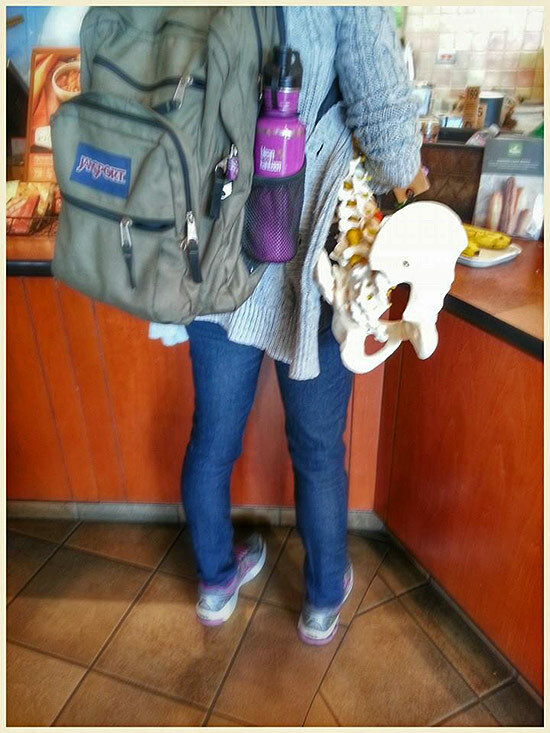 Well, I’m now standing behind a woman holding what looks like the skeletal remains of a human torso as she orders lunch at the cafe counter like it ain’t no thing. *I actually hopped out of line to get my camera because I knew you wouldn’t believe me. The woman behind me was kind enough to let me hop back in front of her. So I snapped this photo evidence.